Base-mounted auto-start pressure booster and water reuse stations use a pressure control which automatically converts to 12 V DC and drives the pump with a standby engine, providing normal pumping service during power failures. 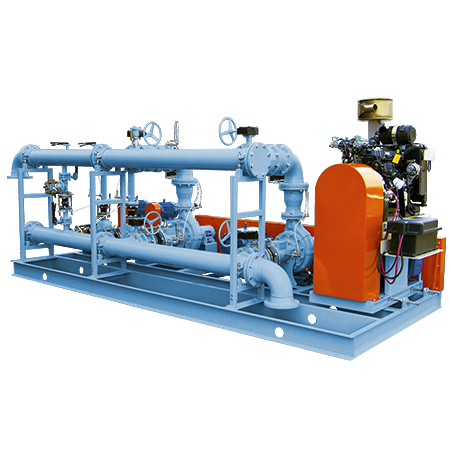 It meets all standby requirements and primary fuels are LPG or natural gas. The auto-start unit is a space-saving, modular combination of pump, electric motor and engine, all coupled to the same drive, eliminating the need for an expensive engine/generator set. Pressure booster auto-start units can be used to maintain constant grid pressure or for filling above-ground storage tanks.